Although Veronica’s background is in theatre, she has been doing astrology readings for over 30 years. She trained at the Faculty of Astrological Studies and Goldsmiths College, University of London. Seeing the value of being able to help her clients in an holistic way, should they so desire, she trained as a Clinical Hypnotherapist at Celestial Healing in Lincoln and at the Institute of Clinical Hypnosis in London. 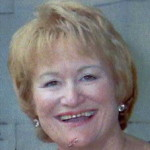 She is also a Reiki Master and Teacher, having trained with Reiki Evolution. She is registered with the General Hypnotherapy Register and the Complementary and Natural Healthcare Council. She is a member of the Astrological Lodge of London, the Astrological Association of Great Britain, the London College of Spirituality and the College of Psychic Studies. When asked how she connects her work as an Astrologer with that of an Actor, she sees a very powerful connection. “As an Astrologer I aim to enable a client to connect with their truth, purpose and individuality: As an Actor one aims to portray the truth and individuality of the character one is playing.” Both disciplines are about TRUTH. To find out more about how Astrology can help you, call Veronica on +44 (0)20 7281 2042 or send her an email.